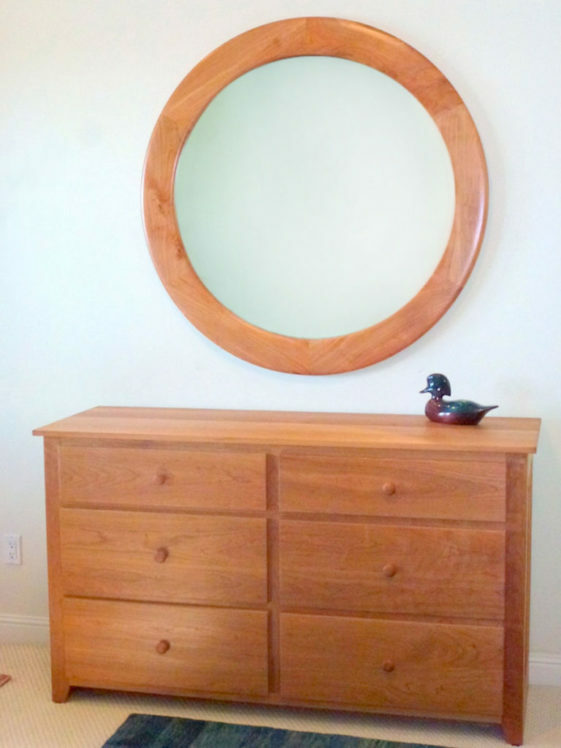 Our client wanted a round picture frame for a large mirror to match the existing chest of drawers made of cherry. The size of the frame matches the furniture beautifully and the wide frame profile also looks great in the room. Everyone is so pleased with the result!